German Expressionist painter. 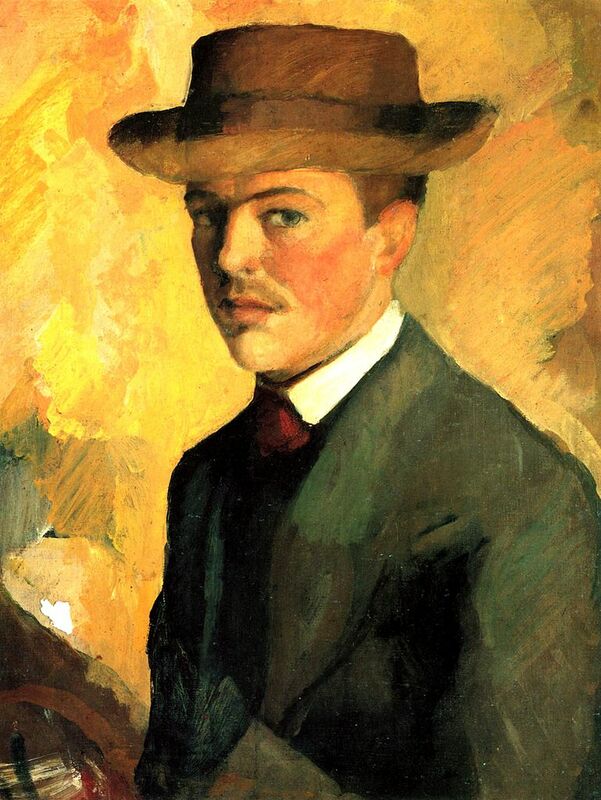 August Macke belonged to the artist group Der Blaue Reiter (“The Blue Rider”). 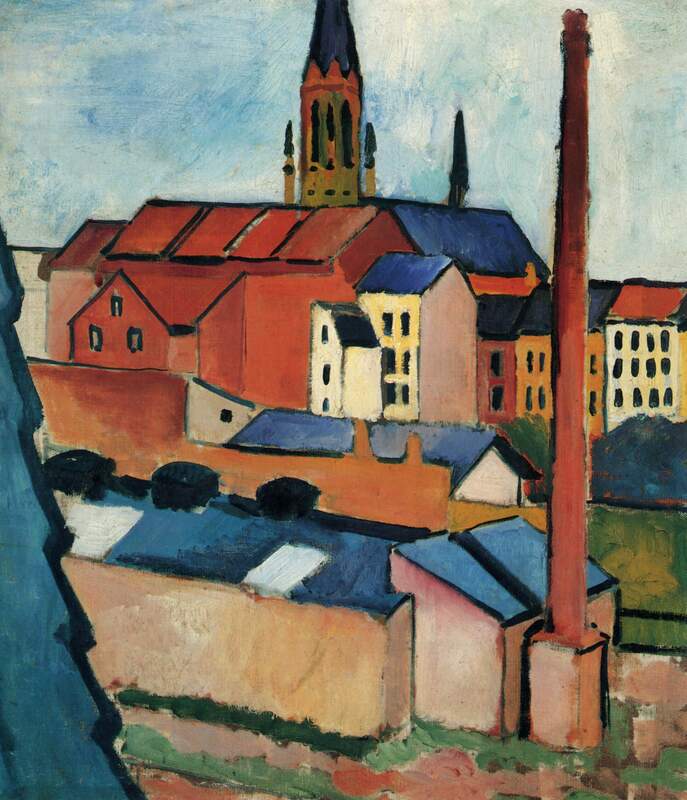 The work of this group, together with the artists that formed Die Brücke (“The Bridge”) in the North of Germany, led to the start of what was later called ” German Expressionism”. 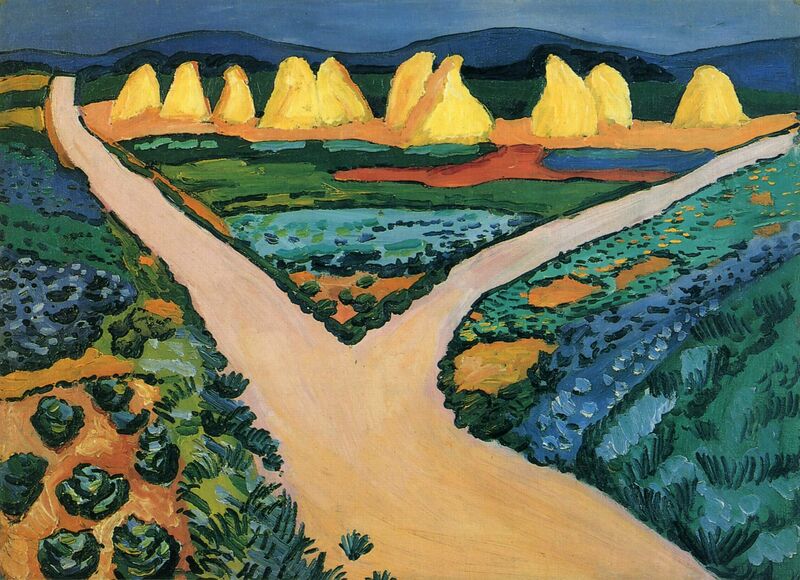 The two painters that had the biggest influence on German Expressionism were Vincent van Gogh and Edvard Munch. The German Expressionists owe a debt of gratitude to the French Impressionists. Without the Impressionists and the influence they had on the painters of that era; it is unlikely that German Expressionism would have come into being. August Macke was born in 1887. He attended the art academy of Düsseldorf and the Corinth School for Painting. During his years as a student he travels to Holland, Belgium, Great Britain and Italy. For a while he lived in Paris where he was moved by the Impressionists, especially their use of color. After Paris he settled down in Tegernsee, close to Münich. There he meets and befriends other painters, with whom he, later on, collaborates in the artist group Der Blaue Reiter (“The Blue Rider”). This group was formed by Wassily Kandinsky and also included Franz Marc, fellow Russian immigrant Alexej von Jawlensky and Gabriele Münter. 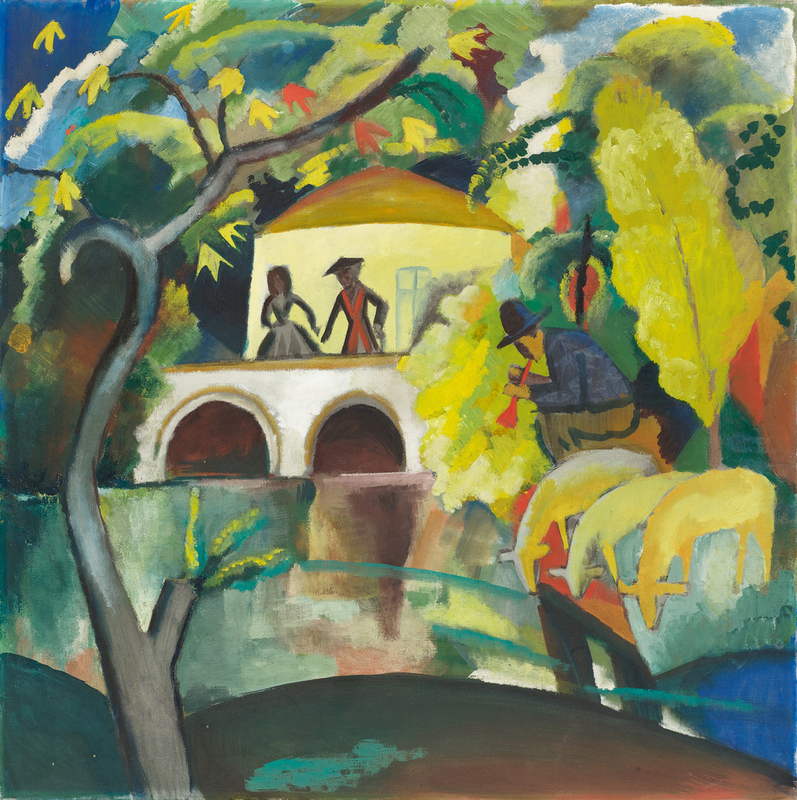 Within German Expressionism August Macke has perhaps the most kinship with Ernst Ludwig Kirchner, both thematically and his use of color. 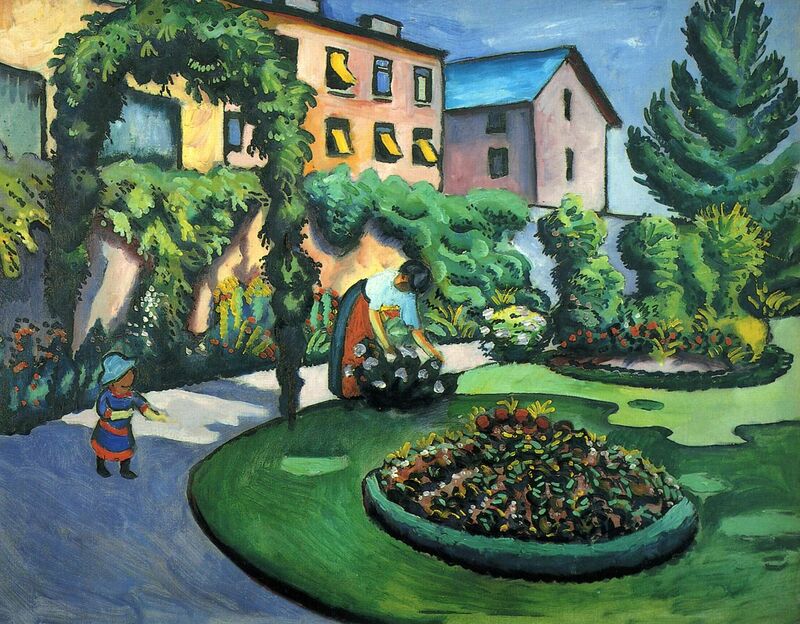 Ernst Ludwig Kirchner did not belong to Die Blaue Reiter; he was a member of Die Brücke . 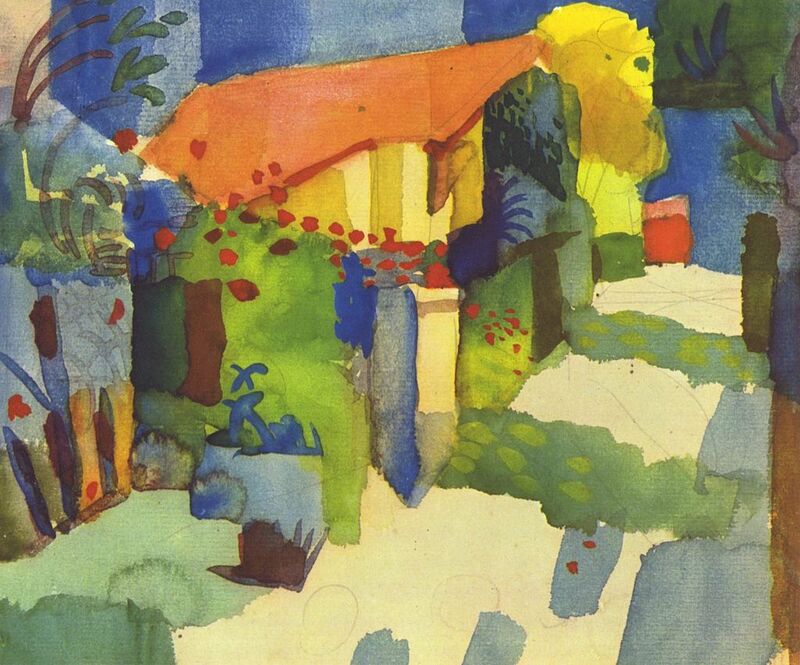 August Macke did not survive the First World War; he died on the battlefield at the age of 27. German Expressionist painter. Kirchner was the founder of the artists group Die Brücke ("The Bridge"). The work of this group lead to what later would become known as German Expressionism. German Expressionist painter, Dutch. Hubert Roestenburg became part of the post-war German Expressionist painting movement. He gained national fame as a child prodigy. Critics view him as the bookend to the German Expressionist painting movement. August Macke was a member of the German Expressionist group Der Blaue Reiter ("The Blue Rider"), a group of artists united in the rejection of the Neue Künstlervereinigung München in Munich, Germany. was born in Pöchlarn, Austria and studied at the School of Arts & Crafts (Kunstgewerbeschule) in Vienna, where he was influenced by his professor Carl Otto Czeschka. Wassily Kandinsky was born in 1886. He was a trained musician who didn't take up art until he was 30 years old. He was the founder of the artist group Der Blaue Reiter.